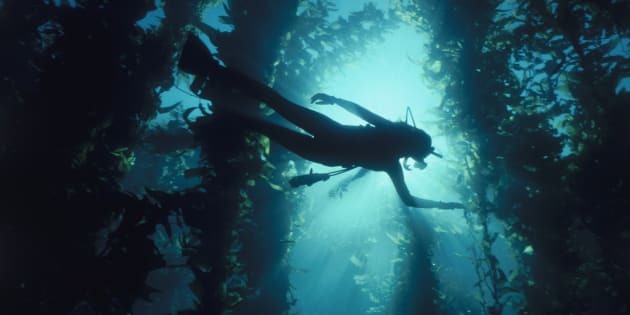 Reef refugees are accidentally destroying southern kelp forests. Kelp forests are at risk the world over including in Australia where it supports our local lobster industry. The study was never meant to be about kelp disappearing. Ropy, verdant ladders of kelp had always grown on the rocky outcrops offshore near Coffs Harbour, making homes for lobster, abalone and fish. Yet a 10-year study into fish abundance around the nearby Solitary Island accidentally documented the total disappearance of kelp in all 12 sites. It also captured the culprits -- tropical and sub tropical fish whose population expanded from warmer waters as a 0.6 degree warming occurred over the 10-year period. Here's some fish finishing off a tendril of kelp, shark interruptions aside. UNSW marine ecology senior lecturer Adriana Vergés said the tropical fish weren't exactly climate change refugees. "The Solitary Island areas are quite unique because they have patches of tropical and then temperate areas," Vergés told The Huffington Post Australia. "You could be diving with anemones and clown fish and then four kilometers away you could dive again and be in kelp forests like you see in Sydney. "What we've seen is the fish from temperate regions are now in much greater abundance and they've eaten the kelp." She said tropical fish in their larvae form drifted with the currents and whether they matured depended on the conditions where they landed. 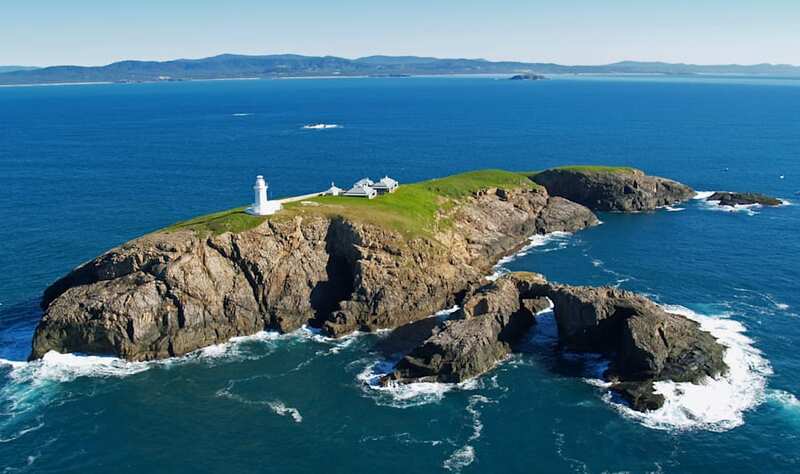 South Solitary Island has temperate and tropical areas. "Now that the winters are warmer, tropical fish are able to develop from juveniles to adults and survive," she said. The fact that they have eaten the kelp could be a sign of what's to come for the 8000km coastline of kelp off eastern Australia, but it's also paving the way for coral expansion. "When we lose the kelp forest we lose an entire ecological community associated with it -- the fish that live there completely change so some species associated with kelp are really important commercially like rock lobsters. 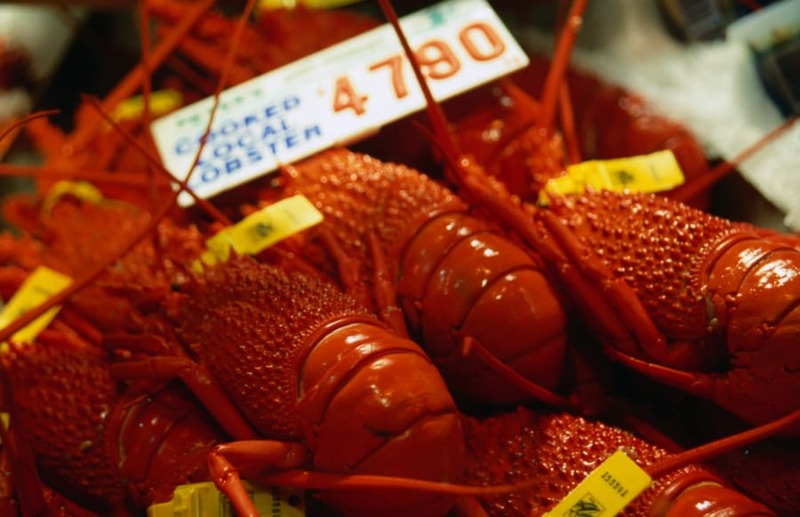 You might not care about kelp, but surely you care about lobsters. "Kelp is also incredibly productive and with it gone, that's a whole lot of carbon sequestering not happening anymore. "There's also some studies that have shown there's been a range expansion of some tropical coral species, so the evidence is that as kelp is retreating, some of the coral is expanding." In another 10 years of warming, it may be a coral reef less susceptible to coral bleaching.